The Circle Craft Market hosts an abundance of artisans producing high quality, stylish clothing. Here are just a few of the many exquisite garment makers you`ll meet at the market. Banquet Atelier & Workshop is a Vancouver-based studio, creating quality goods with a fine attention to affordability and environmental sustainability. 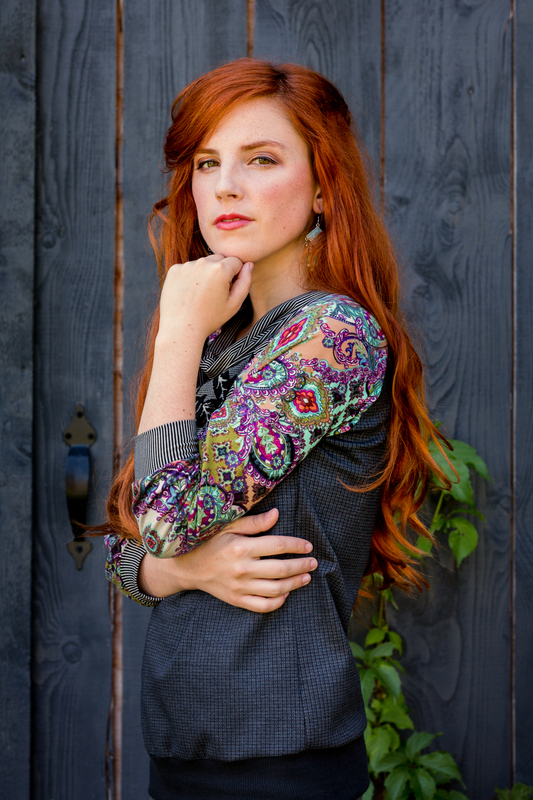 In addition to prints, stationery, and home textiles, they offer screen printed clothing, including uniquely beautiful linen dresses and tunics, and a line of t-shirts. Glasnost rain wares feature minimalist clean lines with a utilitarian sensibility. Handmade from durable, waterproof waxed cotton, these practical vests and coats keep you dry and looking good. Sartoria upcycles cashmere and merino wool into one of a kind, warm yet breathable garments. Choose from a selection of underwear, bralettes, singlets and camisoles that offer the wearer a wonderful way to dress and take care in the cold seasons. Elen Danielle is a textile artist and designer with over fifteen years of experience creating clothing, accessories, and other such soft treasures. In addition to her beautifully detailed and meticulously crafted fabric brooches and handbags, she brings an assortment of hand embroidered lace blouses and tanks to this year`s market. Annie 50 is a line of women’s clothing inspired by vintage trends, revisited with a touch of modernity. Often close to the body and comfortable, these clothes are designed to suit an active lifestyle, without sacrificing on style. All Annie 50 products are ethically designed and proudly manufactured in Quebec for maximum traceability. Daub + Design produces unique, functional active apparel for women that can be worn for both yoga and in everyday life. Canadian designed and manufactured, every piece is hand-dyed or printed in their exclusive designs on high quality fabrics for maximum comfort and style. The Circle Craft Market is on until Sunday, November 11 at the Vancouver Convention Centre West! Check in at www.circlecraft.net for the latest Circle Craft Market information. Tickets are available for purchase online, where you’ll find discounts for students, seniors, and groups, as well as a 2-for-1 special for evenings after 5pm. The Circle Craft Market begins tomorrow at the Vancouver Convention Centre West and runs through Sunday, November 11. With 300+ exhibitors, the Market features something for everyone in your family, including the men! 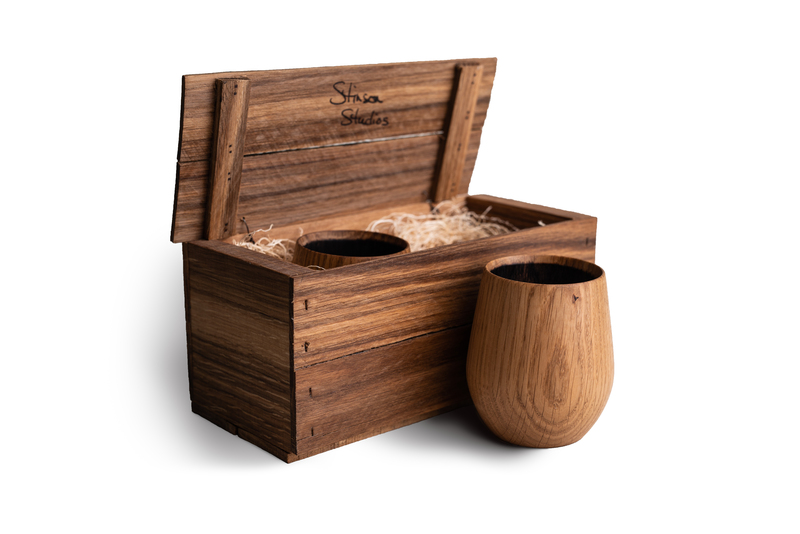 Stinson Studios’ oak tumblers are perfect for the whiskey, scotch, and bourbon drinkers in your life! And they come nestled in an oak crate, making them a perfect gift item. 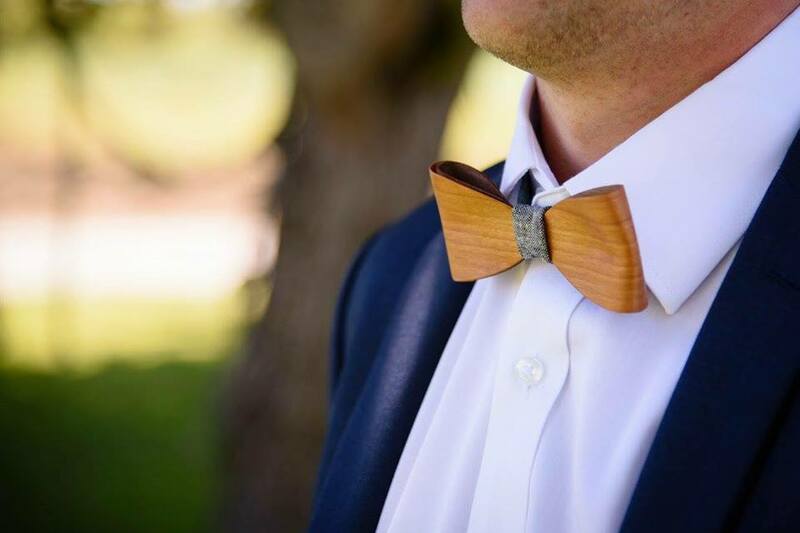 Kerf Accessories offers a wide variety of wood accessories, including bow ties, tie clips, and money clips. All are handmade and locally designed in Vancouver. Ole Originals’ hand-printed retro-style graphic tees are inspired by travel, culture, wildlife, and the cities and provinces of Canada. 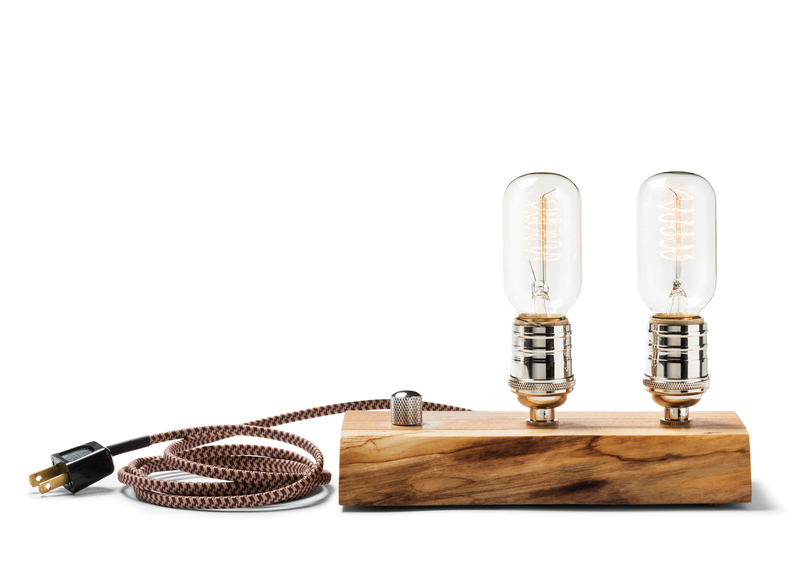 A lamp from East Van Light would be perfect on a desk or end table. Delivering a warm ambient light, these lamps are handcrafted in small batches. To find out what other exhibitors are offering items that are great for men, be sure to visit us during the 2018 Circle Craft Market! Check in at www.circlecraft.net for the latest Circle Craft Market information. Tickets are available for purchase online, where you’ll find a $2 discount on advance tickets, as well as a 2-for-1 special for evenings after 5pm. The Circle Craft Market returns to the Vancouver Convention Centre West next week, running from November 7-11. Each week leading up to the Market, we have been featuring exhibiting artists. 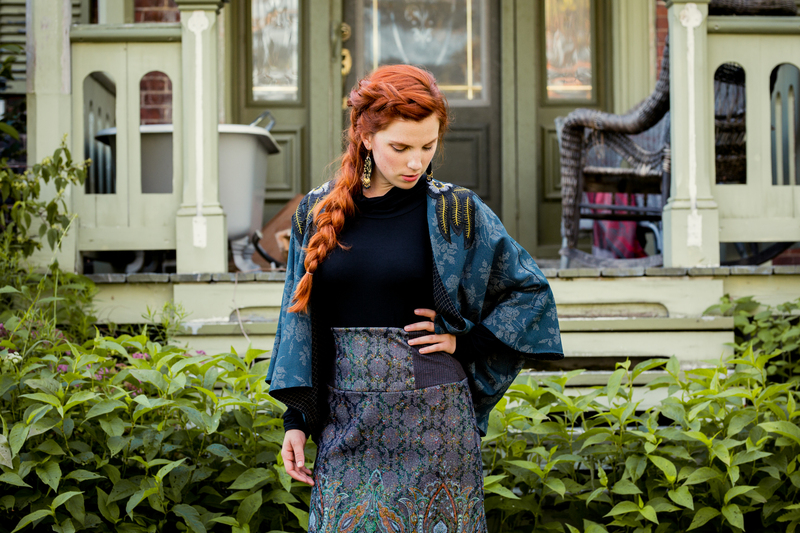 Today we’re highlighting Gosia Eco Designs of Toronto, ON, who is new to the Market in 2018. Margaret Marcy has spent her whole working life amidst fashion companies. After over 30 years in the industry, she decided it was time for a change and created Gosia Eco Designs. Gosia Eco Designs brings together two of Margaret’s passions: Mother Nature and fashion. Each piece is meticulously crafted by hand, and she uses only 100% natural fabrics and dyes derived from plants and natural metals. Her sustainable and eco-friendly pieces are raw and stunning, echoing the beauty found in Mother Nature. For more information, visit Gosia Eco Designs’ website. 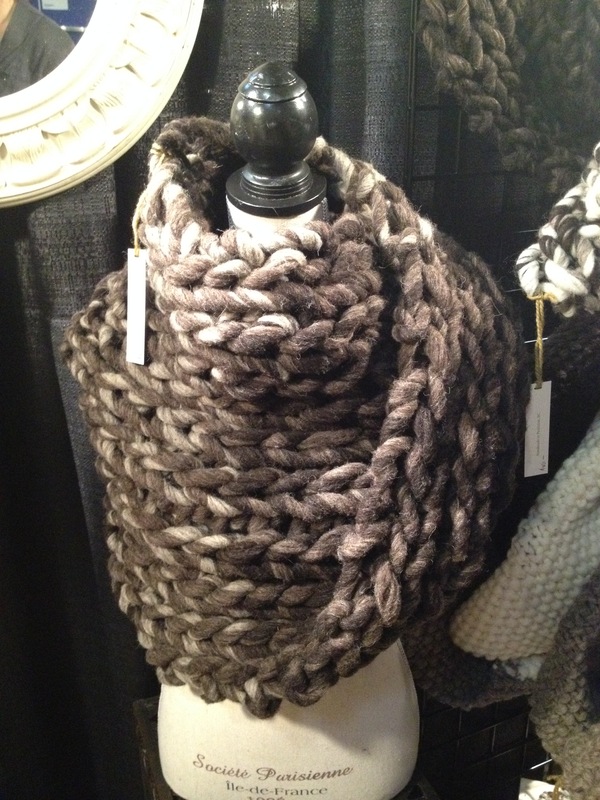 You’ll find Gosia Eco Designs and hundreds of other exhibitors from across Canada at the Circle Craft Market. The Circle Craft Market returns to the Vancouver Convention Centre West from November 7-11. Each week leading up to the Market, we will be featuring exhibiting artists. Today we’re highlighting Metamorphose of Montréal, QC, who is new to the Market in 2018. Metamorphose is a line of ready-to-wear clothing that stands out for its unique style, its feminine cuts, and its attention to details and impeccable finish. Made entirely in their Montréal workshop by a team just as concerned about quality, Metamorphose creations are authentic, feminine, comfortable, and durable. Karine Demers, the designer behind Metamorphose, has over 15 years of working experience in the fashion industry. Not imposing any constraints on herself, she handles and matches fabrics in a unique way to create beautiful outfits. For more information, visit Metamorphose’s website. You’ll find Metamorphose and hundreds of other exhibitors from across Canada at the Circle Craft Market. Looking for some fashionably warm items this winter? The Circle Craft Market has you covered! 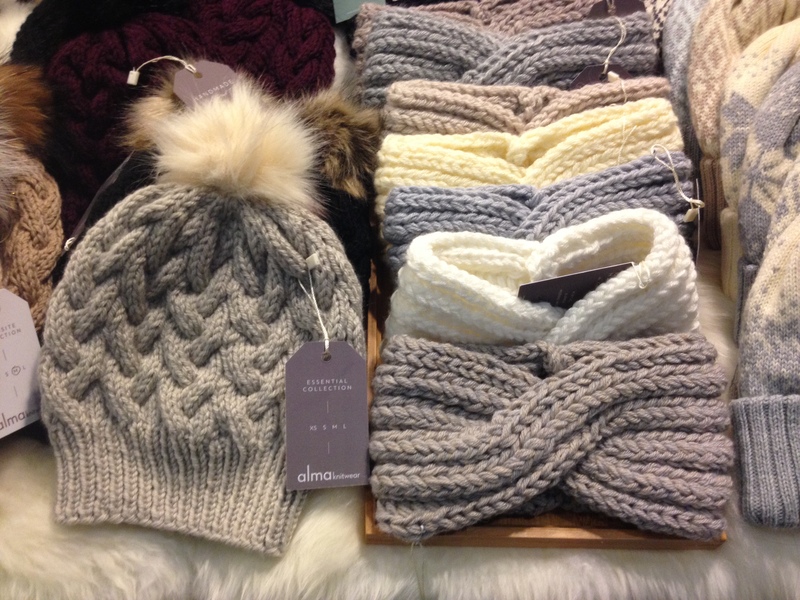 From coats and slippers to blankets and hats, you’ll find plenty of cute and cozy items. 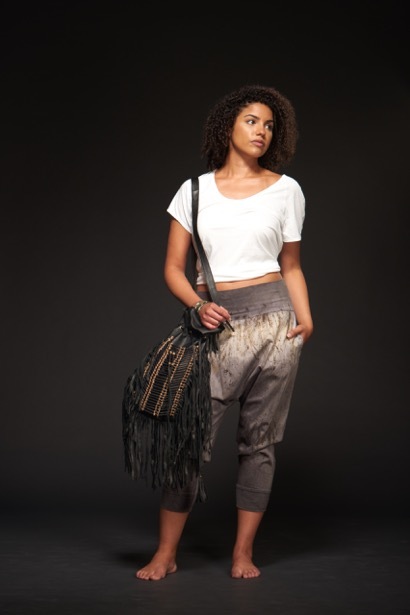 Adhesif Clothing Co. uses new and recycled fabrics to create noticeable and original one-of-a-kind garments. This way, every garment retains its very own unique personality, just like you! Adhesif Clothing is as unique as the people who are drawn to them. 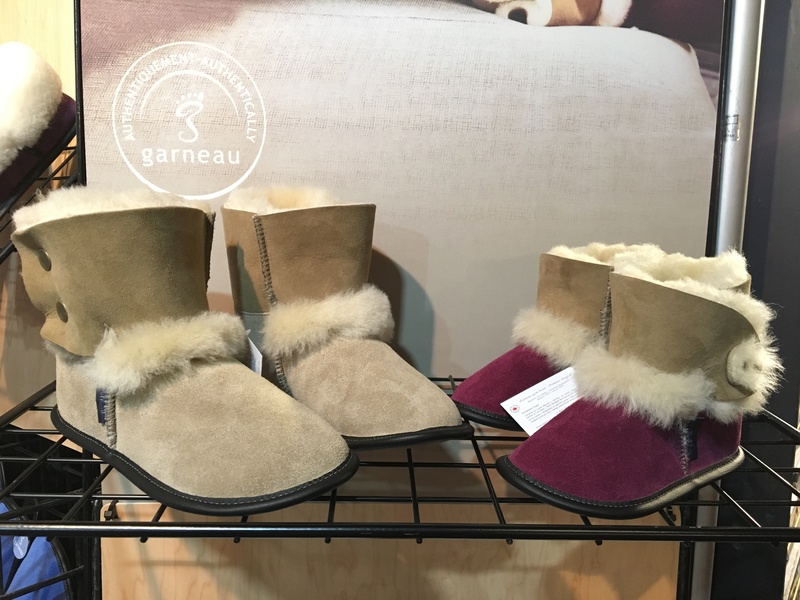 Garneau & Co. design and handcraft high-quality sheepskin slippers and accessories. Its team of talented artisans, located in an atelier in an Eastern Townships of Quebec, preserves through their work traditional craftsmanship and a return to a natural aesthetic. 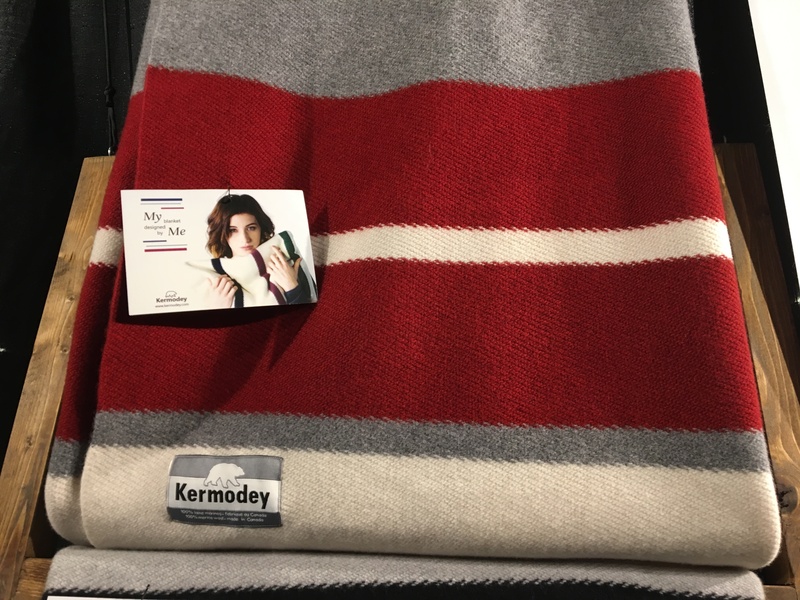 Cozy like a hug, soft like a unicorn, and unique like a snowflake, Kermodey blankets are made of premium colourfast Italian yarns carded from 19.5-micron wool fiber that gives an incredible softness. Wool has one of the best ratio weight/warmth. It is natural, breathable, sustainable, and is warm even when wet. All Vividworks creations are unique in their design and are handmade by Den in Little River, Comox on Vancouver Island. Sculpture, texture, and an element of stylish fun are the starting blocks for these designs. Other influences have been drawn from the styles of the 1920s – 1940s and an innate love of ‘doodling’. Today is the last day of the Circle Craft Christmas Market. Join us from 10:00am to 5:00pm at the Vancouver Convention Centre West. Check in at circlecraftmarket.net for the latest Circle Craft Christmas Market information. Tickets are now available for purchase online, where you’ll find discounts for students, seniors, and groups. The Circle Craft Christmas Market returns to the Vancouver Convention Centre West next week, running from November 8-12. Each week leading up to the Market, we have been featuring exhibiting artists. Today we’re highlighting VOILÀ Designs Canada of Winnipeg, MB, who is new to the Market in 2017. 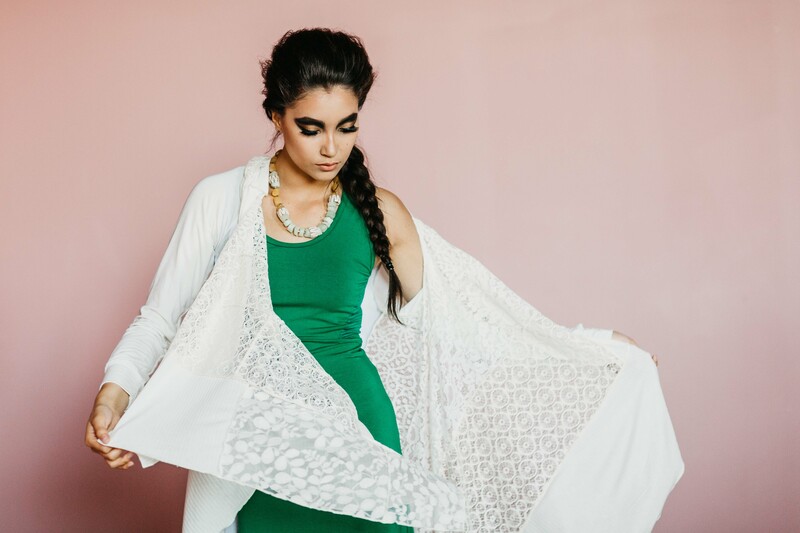 Considered one of Canada’s premiere Métis fashion brands, VOILÀ Designs offers distinctive eco-friendly, fair-trade clothing made in Canada. VOILÀ’s custom fabric is made from the highest quality ring-spun combed cotton, hemp, and bamboo yarn. Their organic, custom milled bamboo-based clothing features authentic indigenous-inspired prints and offer exceptional softness, breathability, and moisture absorption, which helps regulate body temperature. VOILÀ Designs manufactures in small runs to ensure quality of the garment. Each garment is designed and manufactured in Winnipeg, MB using sustainable fabrics and fair labor practices. For more information, visit VOILÀ Designs Canada’s website. You’ll find VOILÀ Designs Canada and hundreds of other exhibitors from across Canada at the Circle Craft Christmas Market. Check in at circlecraftmarket.net for the latest Circle Craft Christmas Market information. Tickets are now available for purchase online, where you’ll find a $2 discount on advance tickets, as well as a 2-for-1 special for evenings after 5pm. Now that it’s November and the weather is getting cooler, it’s time to start thinking about bundling up for the months ahead. Fortunately, the Circle Craft Christmas Market has plenty of cozy items to help you stay warm and dry this winter! Simple and elegant, Alma Headwear’s knitwear is beautifully made. 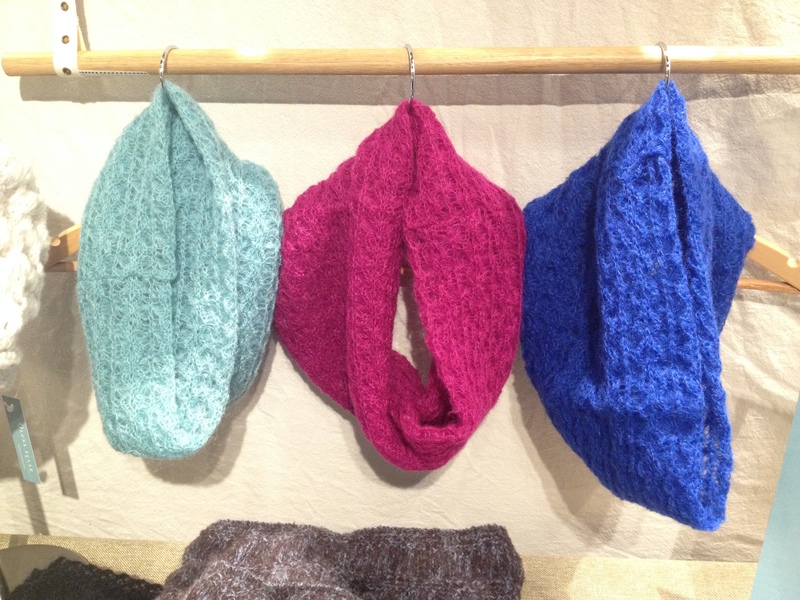 With a variety of scarves, mittens, and hats, they have plenty of lovely items to keep you warm this winter. 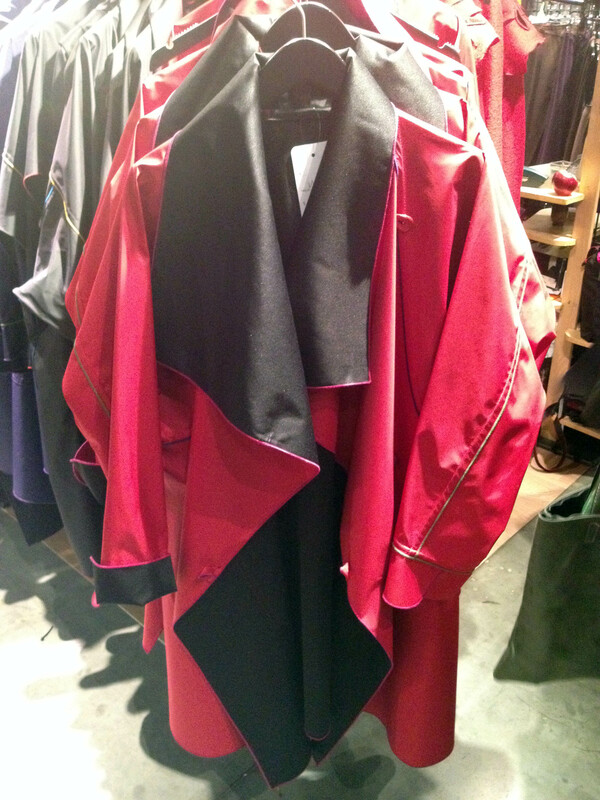 Carmen G.’s reversible raincoats are available in a variety of colours. They are stylish and comfortable and will keep you dry during Vancouver’s rainy season. 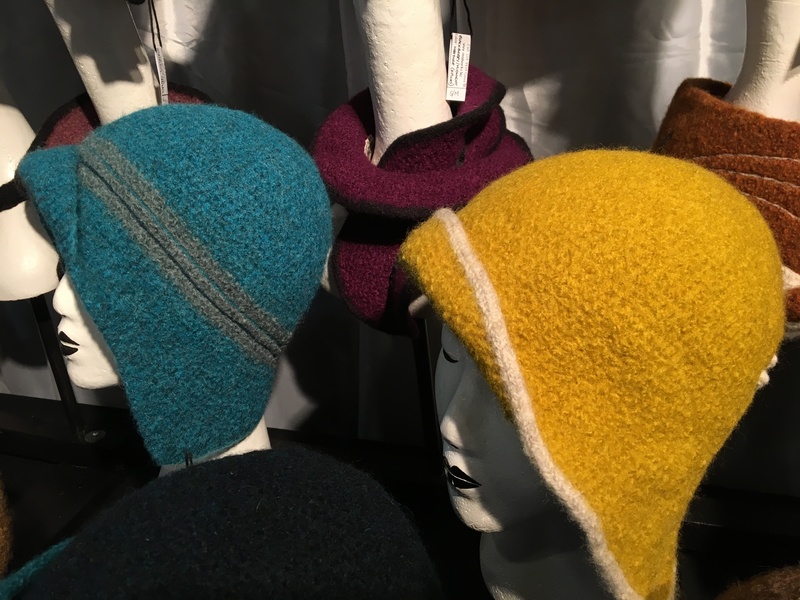 Olena Zylak’s collection of luxury Canadian-made knitwear includes hats and scarves. Olena uses yarns of luxury fibres to create a highly textured line that is as precious and fragile as it is sensual and strong. Find these exhibitors and 300 more this weekend at the Circle Craft Christmas Market. The Circle Craft Christmas Market returns to the Vancouver Convention Centre West next week, running from November 9-13. Each week leading up to the Market, we have been featuring exhibiting artists. Today we’re highlighting Dotty Dress Studio of Toronto, ON, who is new to the Market in 2016. As a child, designer Heather Wilson realized she had an obsession with clothing and fashion, not just how it looked and fit, but she was fascinated by the history of fashion, the process of creating textiles, and how the two come together to become clothing. Heather’s love of everything vintage, from cars to clothing, textiles to tattoos, helps her keep the history of fashion alive in her work. After graduating from The Academy of Design in Toronto, Heather began her career in fashion wholesale as a sales representative for New York designer Ellen Tracy. She went on to launch her own fashion wholesale agency, representing numerous women’s wear collections from Europe, Canada, and the US. The Dotty dress collection was created after fielding numerous requests from clients searching for feminine, sophisticated, fun day dresses. Through her fashion education and work experience, Heather knows what women are looking for in a dress, and she translates that knowledge into her designs. Heather makes sure to infuse a little fashion history with her love of textiles, and always adds a vintage vibe to every dress. For more information, visit Dotty Dress Studio’s website. 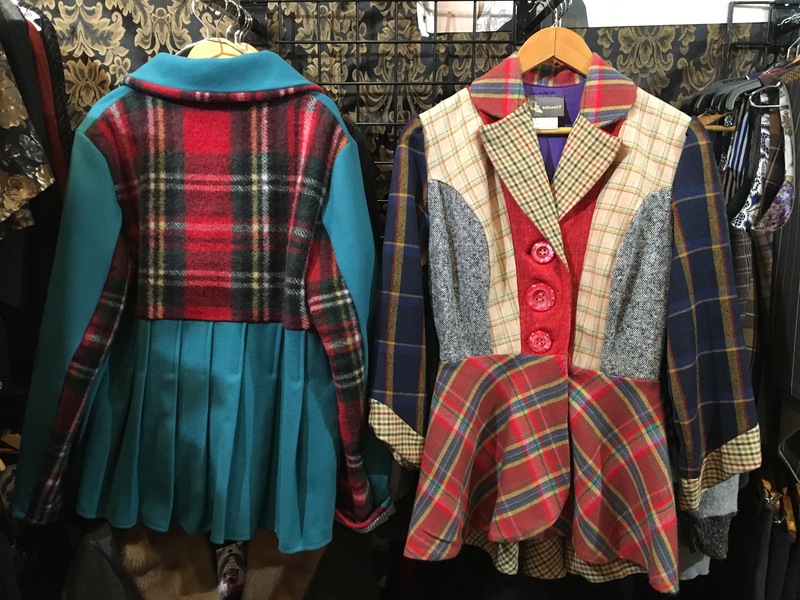 You’ll find Dotty Dress Studio and hundreds of other exhibitors from across Canada at the Circle Craft Christmas Market. Check in at circlecraftmarket.net for the latest Circle Craft Christmas Market information. Tickets are now available for purchase online, where you’ll find a $2 discount on advance tickets, as well as a 2-for-1 special for evenings after 5pm on Wednesday, Thursday, and Friday. 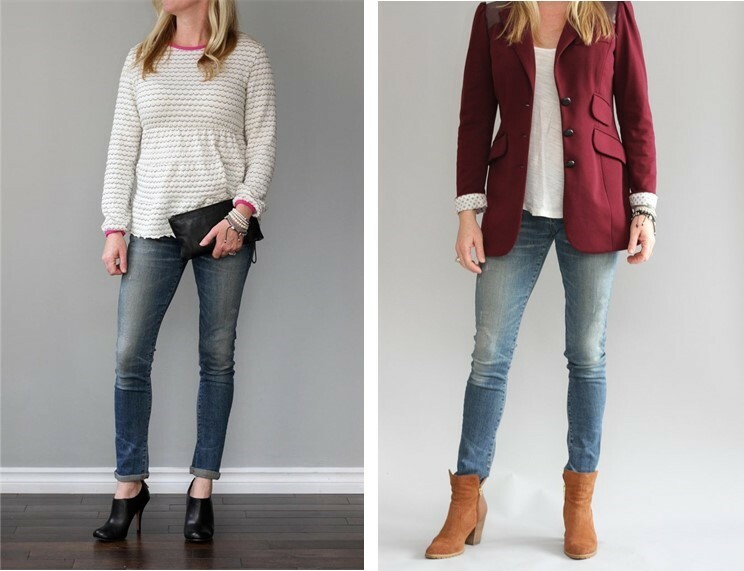 Looking for something a little more on the casual side? 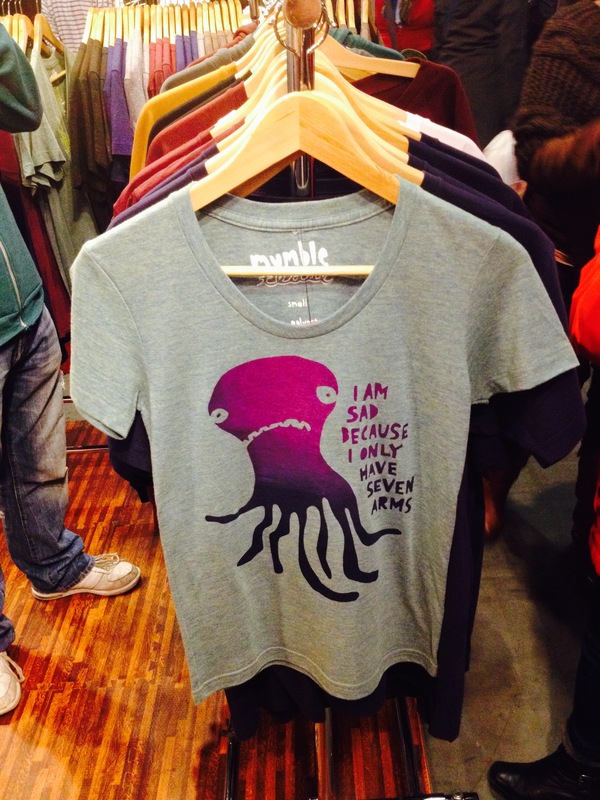 Several Circle Craft Christmas Market exhibitors have fantastic trendy t-shirts for men, women, and children. All Ole Original tees are designed and individually hand-printed in Vancouver. 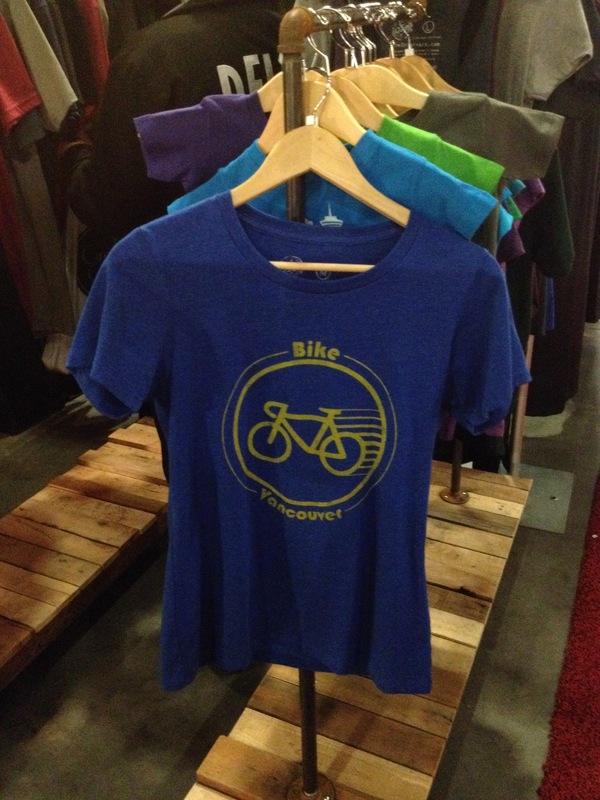 They specialize in retro style t-shirts with a vintage feel, so they’re super soft and made to last. Their graphics are inspired by travel, culture, wild life, and the places they love. Mumble Tease is a one-woman shirt company featuring silly, smile-inducing designs. All creations are designed and silk-screened by hand by Calgary-based illustrator Heather Reinhardt. 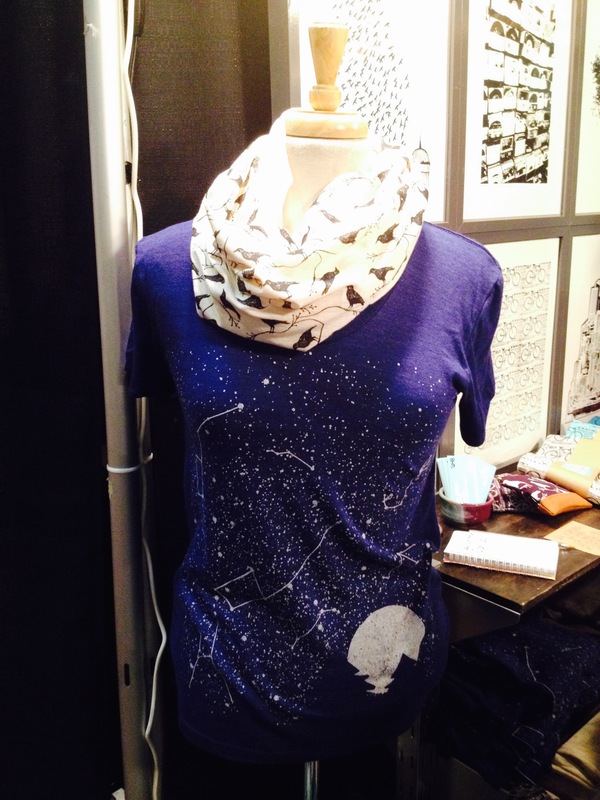 Natasha Paterson of Whiteout Workshop hand screen prints her original artwork onto clothing, art, and accessories. Many of her shirts are made with her photographs (sometimes many of them pieced together) to create the artwork. 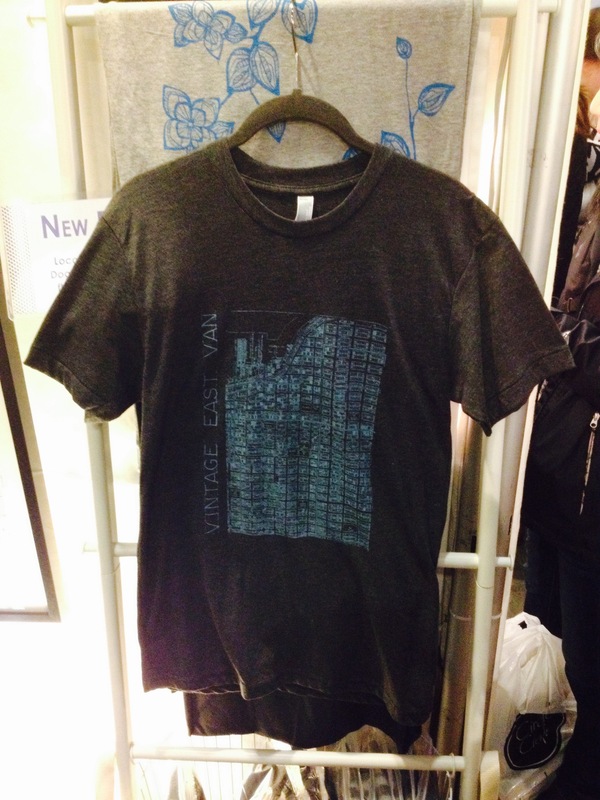 The Hive Printing is a small artisan screen printing studio creating a line of Vancouver-inspired, locally printed clothing and more. Their designs are inspired by the local history and focus mainly on archival maps and images. Discover these exhibitors and more when you visit the Circle Craft Christmas Market. Check in at circlecraftmarket.net for the latest Circle Craft Christmas Market information. Tickets are now available for purchase online, where you’ll find discounts for students, seniors, and groups, as well as a 2-for-1 special for Wednesday, Thursday, and Friday evenings after 5 pm. As the days grow colder and rainier here on the West Coast, it’s time to pull on warm sweaters, scarves, and hats. But you don’t have to sacrifice style for warmth! You can have both. Check out these exhibitors at the Circle Craft Christmas Market that are offering fashionable knitwear. Olena Zylak’s collection of Canadian-made knitwear are created with yarns of luxury fibres to create a highly textured line that is as precious and fragile as it is sensual and strong. 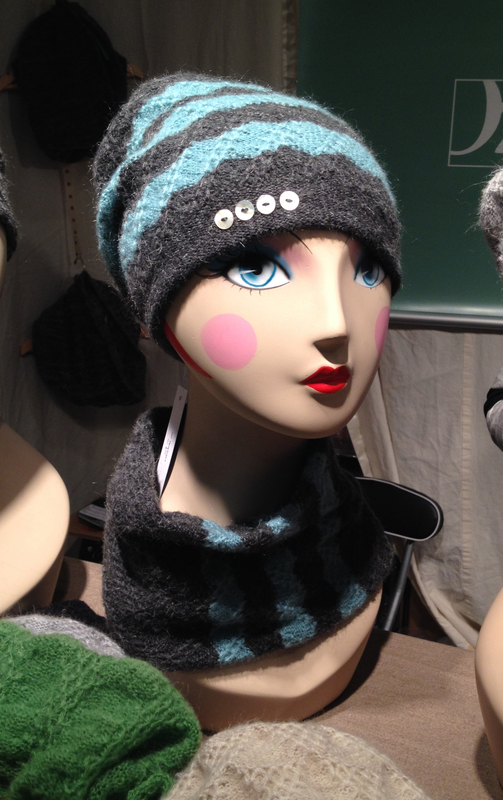 Natural Wool Knits’ pieces are beautifully made with high quality pure wool from Canada. Because of the extreme weather temperatures here, the wool is more lofty and chunky. 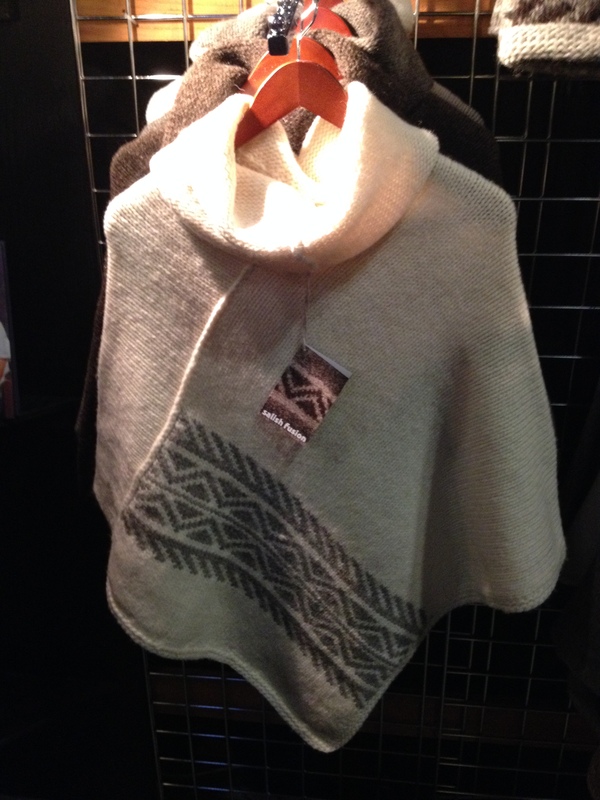 Salish Fusion Knitwear uses wool from Vancouver Island that is natural in its form and colour. It is carded and spun to produce a beautiful thick wool with natural water repellency. Join us at the Vancouver Convention Centre West until Sunday, November 15, to find these exhibitors and more.